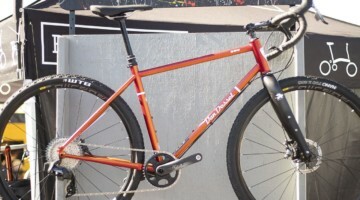 More on the Dugast Diavolo – Will the Devil Defy the Ban? 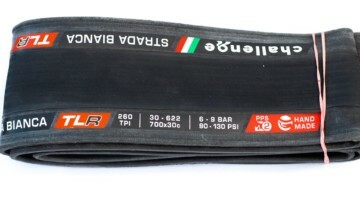 We revisit the infamous Dugast Diavolo tire with more exclusive details on the rare, labor-intensive tire that Dugast is considering mass producing. Interested in seeing the tire make it into production? Drop a comment below. 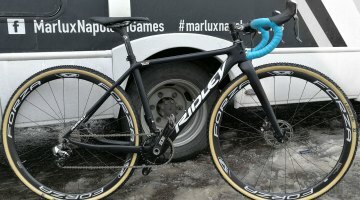 Cyclocross tires are expected to perform under extreme conditions, but a tire that’s tested on an ice rink is going to the next level. 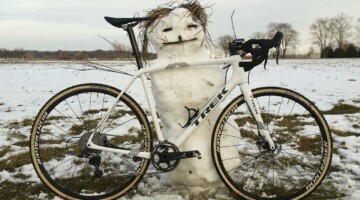 Dugast recently tested a limited edition prototype under the wheels of Sven Nys on an ice rink in Eindhoven, The Netherlands. Nys took the tires to task on the pure ice and performed a series of turns and braking maneuvers most wouldn’t attempt on such a surface. The tread design is the same as the Dugast Rhino, but that’s not the most striking feature. The tire, named Diavolo, features a metal spike in each of the knobs along the sidewalls of the tire. The spikes provided an obvious benefit in increasing traction and improving handling of the bike on slick surfaces. Added grip also allows the rider to apply significantly more power on ice and snow as the spikes bite into the terrain. 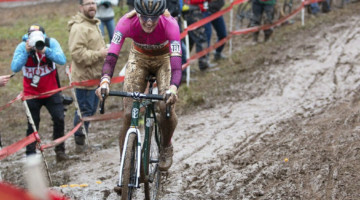 Tamara Willems of A. Dugast, BV, told Cyclocross Magazine that the tires were developed at the request of riders heading to Tabor. 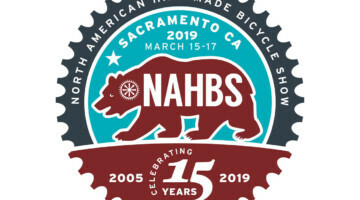 “We have created the tire as a request to some riders to have a tire with good grip on the track in Tabor,” Willems said in explanation for the development of the tire. 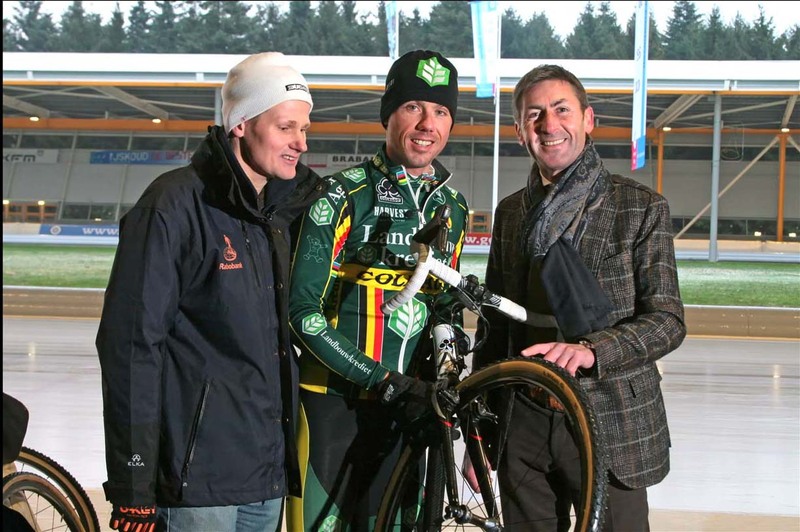 “This was one of the few world championships where we were 95% sure about the track and weather conditions.” The first tires were developed in December with the first prototypes handed to Sven Nys for testing on an ice rink in Eindhoven. Nys demonstrated the grip on the ice rink (see the above video), needing 3-4 times more power to break the tread of the Diavolo loose when compared to a standard tread Dugast. The spikes, constructed of steel and expected to outlast the tread, are held in place by a system developed by Dugast owner Richard Nieuwhuis and Dutch nail manufacturer HJZ. The spikes are encased between the cotton casing and tread of the tire and are not held in place by glue or other adhesive. According to UCI rules, “Wheels of the bicycle may vary in diameter between 70 cm maximum and 55 cm minimum, including the tyre. For the cyclo-cross bicycle the width of the tyre shall not exceed 35 mm and it may not incorporate any form of a spike or stud.” Placement of the spikes between the materials rather than use of adhesive or some other measure to fix the spike to the tire put the Diavolo, according to Dugast’s interpretation, in a gray area with respect to UCI regulations. 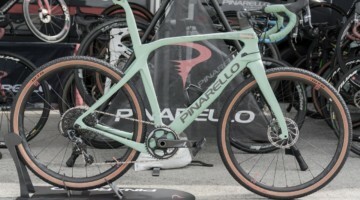 Because the spikes in the Diavolo are not fixed to the tire and have a slight movement, according to Dugast they do not meet the definition of a stud in the UCI regulations. 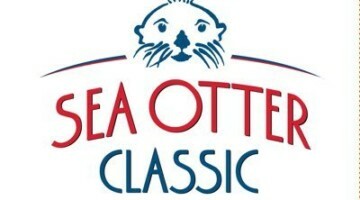 However, Dugast realized the road they were traveling was toeing the line of UCI acceptance. Instead of risking disqualification of riders in such a key event, Dugast approached the UCI with the tire before the race in Tabor. According to Willems, “The tests and the limited production caused a lot of rumors in the peloton. 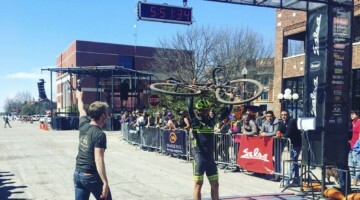 This is why we thought it would be better to ask the permission of the UCI.” The UCI, as many would expect, promptly banned the tire from competition. Reading the rule, it’s obvious that Dugast was taking a risk in developing a tire that rode a fine line between competition and violation. But that’s in-line with Dugast’s history of developing tires that pushed the boundaries of current design and technology. 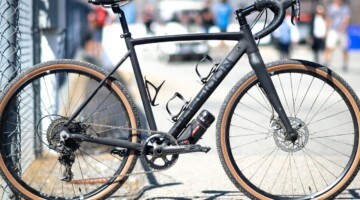 The Diavolo should not be considered an exception to the rule, but a continuation of Dugast’s legacy of working to bring the most cutting edge tires to market. 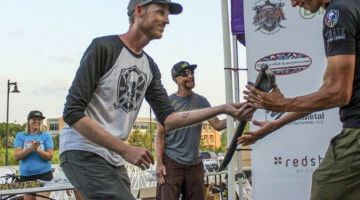 Dugast certainly took a gamble with providing this tire to riders in Tabor, and it’s doubtful anyone would be surprised by the reaction, given the UCI’s history. 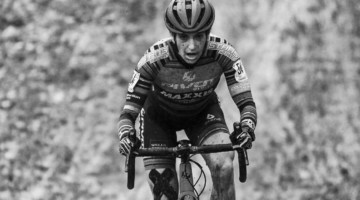 But the UCI decision begs the question, if these tires were banned because they provide additional benefits in traction and handling, what was the logic behind spreading sand on the course in Tabor? And if the tires were banned because of the danger of the spikes in a crash, how many riders would they have kept from hitting the ground in the first place? But perhaps the most exciting thing about the Diavolo is not the events that have taken place, but what might happen next. The Diavolos are labor intensive, taking six hours per tire to make, so the model was initially considered a limited run. 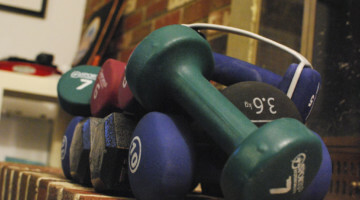 The labor, combined with the anticipated ban from competition, would seem to have relegated the tire to exist only as a part of the Dugast story. Dugast initially assumed that if the tire were banned from competition, that the interest of the commercial market would fade. 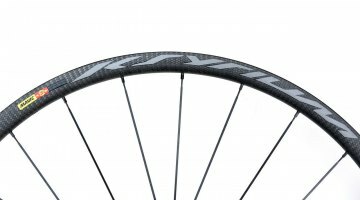 But since the World Championships the excitement surrounding the unique tire seems to be building and Willems confirms that there is a potential for the tires to see production. 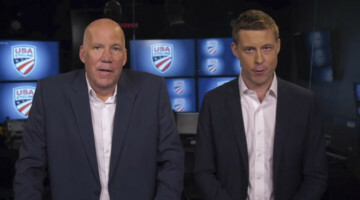 Dugast is currently evaluating the interest in the tire, but there have been a lot of requests since the World Championships. 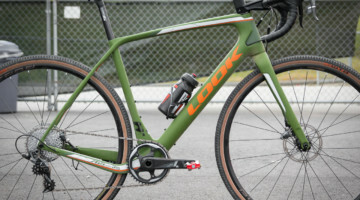 Willems told Cyclocross Magazine that there seems to be a potential market for the tire, particularly in areas with heavy snow in winter, and that more production may take place. 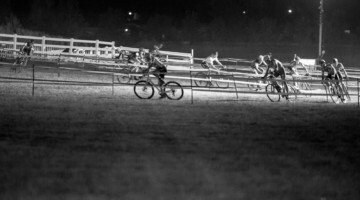 I don't think the safety concern is the crashing (though that would certainly be possible)- I think that with the proximity of everyone on a run-up or over barriers, the safety issue is there- multiple bikes with spinning tires with nails sticking out? Yikes. 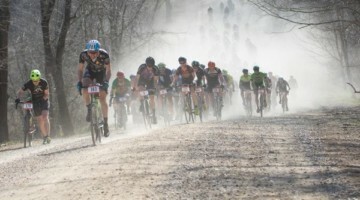 Cyclocross (and all of cycling) is inherently dangerous anyway. Racing on Ice? Yes that is dangerous. The studded tires will help reduce the danger. The added grip of studded tires will outweigh the potential danger of studs cutting someone. Heck you crash and you can gash yourself or someone else with your chainring. 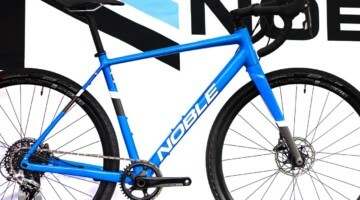 Is the UCI going to make us put chainguards on our bikes? No! I would seriously consider buying a set of these tires if they are produced. Nothing helps you more as a rider, than the appropriate tire for the conditions, and this tire is it for icy conditions. 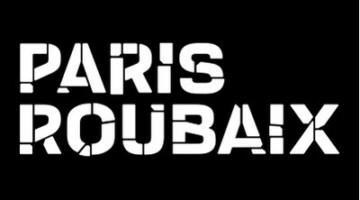 Ok, as guy that mounts 100+ cross tubulars a season, you'd have to use kevlar gloves so that you didn't slice your hands to shreds! 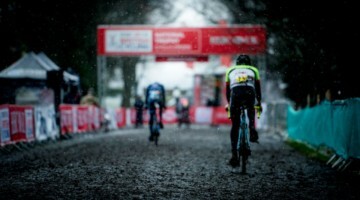 dont forget that these tyres are only banned in UCI events there are plenty of cross races held outside the UCI especially here in the uk and all over europe. 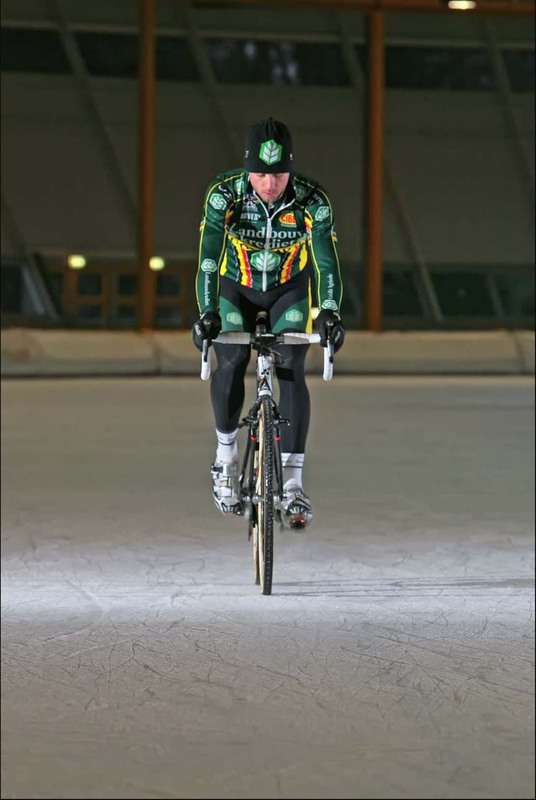 I have been working on the concept of ice sprint, essentially a cross over between velodrome track sprinting and ice speedway (motor bikes), see http://icesprint.com for details. Check out the tire section. 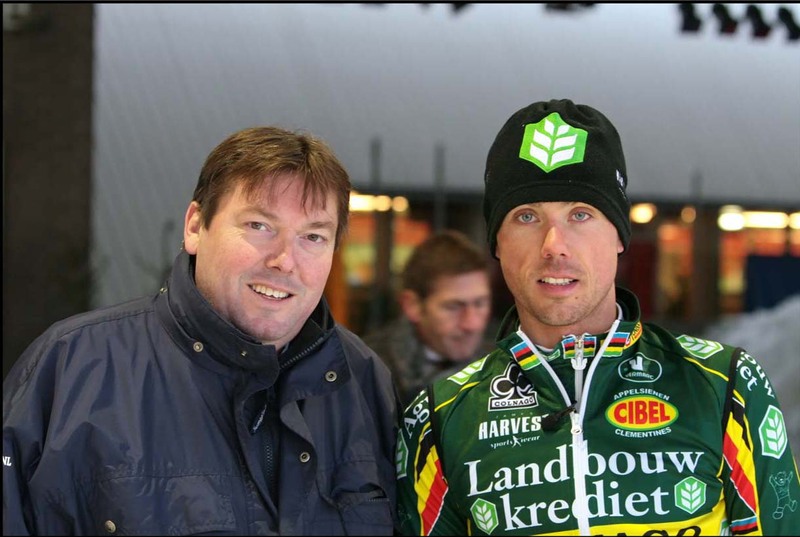 And glad to see that Sven Nys is ice sprinting. I commute on all kinds of ice every day (in Edmonton, Canada), including stretches where the ice has been polished by spinning car tires. I have studded tires on both bikes, and won’t ride in winter without them. They make a huge difference. 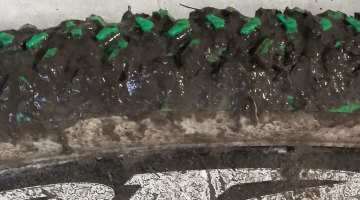 I think they should allow studded tires in ‘cross, but I don’t think they should allow these. Those spikes do look dangerous. Just carrying the studded tires can scratch you up pretty good, and they don’t have sharp points like that. Watching Nys ride on the rink was entertaining. 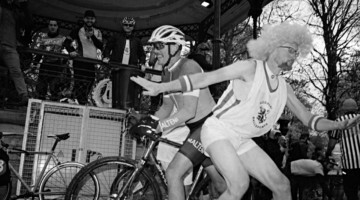 It might be the one thing I’m better at than him, due to years of experience in very slippery conditions. 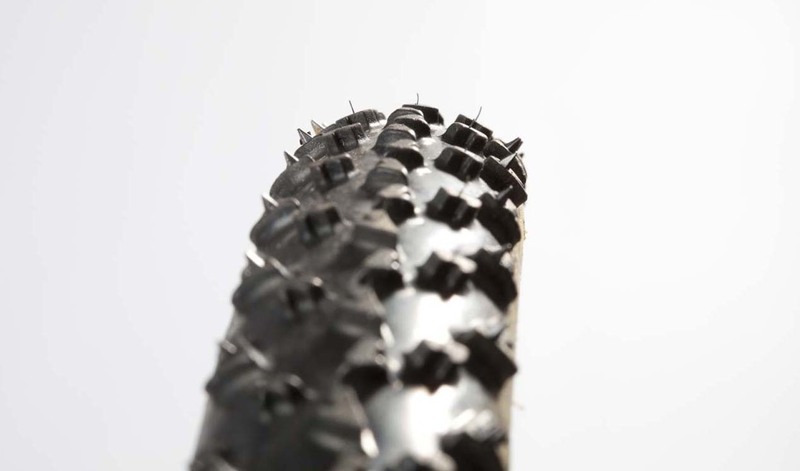 And as a side note – the studded tires I ride (Schwalbe Marathon Winters) are, of course, studded through the middle too, and they work much better for me when they are pumped right up to max tire pressure. I’ve tried both. Maybe it helps the studs dig in. It probably doesn’t work the same way with the Dugast.